Campbell, Yost, Clare & Norell, P.C. Campbell Yost Clare & Norell (CYCN) is a law firm with offices in Phoenix focusing on litigation, business transactions, health care law, commercial matters, and real estate transactions. The firm was formed in 2000 by experienced lawyers with a shared passion and commitment to clients in need of legal advice, and litigation, trial, and business representation. Our lawyers have come from large firms, mid-size firms, small firms, defense firms, plaintiff firms, government, and military backgrounds. What sets us apart from other law firms is not what we do; it's how we do it. Our approach is collaborative, creative, and solution-oriented. We are not self-impressed lawyers who will try to astonish you with our degrees, legalese, or our track records (though trust us, we could). 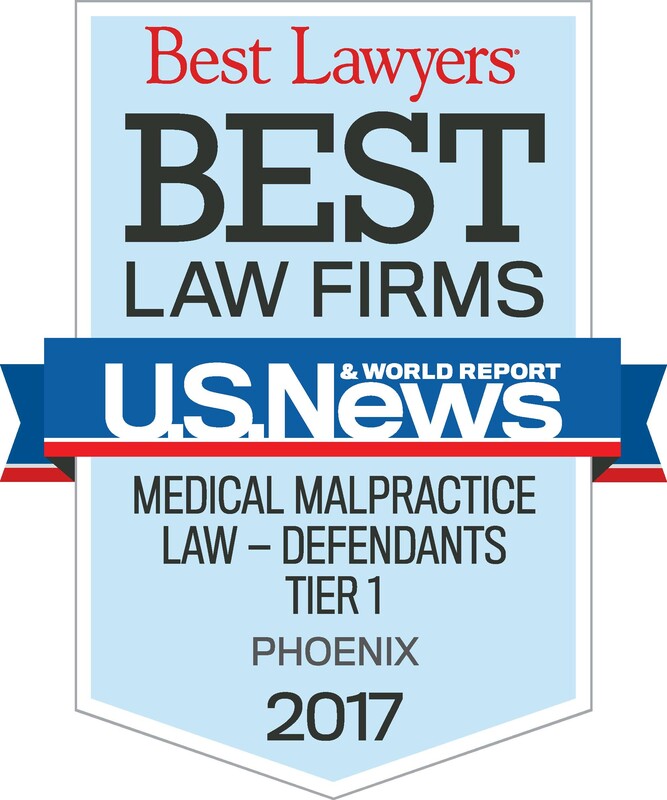 We are hard-working lawyers who see each client as unique, important, and deserving of our best collective effort. If you are looking for value-based legal representation that is custom designed to fit your needs, you will like what you find at CYCN. Talent and experience matter. We have both. We have good judgment too. We listen to you, we objectively analyze your situation, and we give you realistic, frank, and straightforward evaluations. We staff your case with the right people for the right job, including industry experts, if needed. In addition to our lawyers, our pool of talent includes paralegals, nurse consultants, technology gurus, and in all candor, our indispensable secretaries and support staff. Whatever your objectives, we use solution-oriented approaches to address your goals. We work with you to identify your goals and work efficiently and effectively to achieve them. For some clients, that means an aggressive litigation strategy. For others, it may mean a cost-effective plan for early resolution. We collaborate with you and with our team members to achieve the best result for you. When it comes to technology, everyone has it - we do too. It's not what you have; it's how you use it. We use technology tools to communicate (with you, with each other, with experts, and with courts), to conduct research, to create presentations (to judges, juries, adversaries, and clients), to investigate, to access and manage data and documents, and to compete efficiently. Our use of technology benefits you - it makes us accessible and resourceful, it makes us fast and efficient, and it makes us powerful and persuasive. One of the things you care most about is, "How much will this cost me?" We understand. We are not a one-size-fits-all firm. Hourly rates are preferred by many clients. But for some, value-based pricing is sensible. This could mean fixed fees, performance-based fees, capped billable fees, or task based fees. You want good representation that brings the best possible result for the best value. We will work with you to arrive at a legal fee structure that is best suited to your needs and goals. Contact Campbell, Yost, Clare & Norell, P.C.